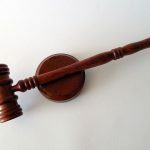 If you have been charged with an offence and are due to have the matter dealt with in the district or supreme court, arraignment will be your first court appearance. Arraignment is where you will appear before the judge, and the charges against you will be officially read out. You will need to plead either guilty, which means you accept all the charges against you, or not guilty, which means you disagree with the charges made against you. Arraignment takes place at the district or supreme court in each jurisdiction. Generally there is a standard day of the week or month when all arraignments take place, so, once you have been charged, you may have to wait around for your turn. You will be advised of your arraignment date, and which courthouse you need to attend, ahead of time. You are called for arraignment before a trial date is set. 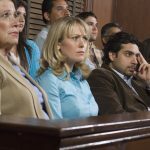 How you plead at arraignment will determine whether or not you stand trial. Arraignment in the District Court in NSW is generally a fairly brief process. You won’t be expected to present any evidence or argue your defence; you will just need to state whether you plead guilty or not guilty when the charges are read. It is a good idea to present yourself well, dress smartly, and be polite. How can I prepare beforehand? Before you attend arraignment, you need to understand the charges you are facing and decide whether to plead guilty or not guilty. Try to find out as much as you can about your charges, what they mean, and what the potential penalties are. It is a good idea to talk to a criminal lawyer, who can advise you on the best course of action, and make sure you understand the legal process. Learning about how the district court process works can also help you feel more comfortable when you are facing the judge. It always helps if you know what to expect. What do I do if I have no criminal lawyer? 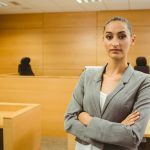 You can represent yourself at arraignment if you don’t have legal representation, although it is always recommended that you at least seek some legal advice beforehand, even if you intend to plead guilty. What will happen if I plead guilty? If you plead guilty, the matter may be finalised at the time, depending how complex or serious the charges are. 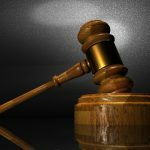 In some cases, the judge will sentence you at the arraignment, and in other cases they will adjourn until a later date so that a pre-sentencing report can be prepared. 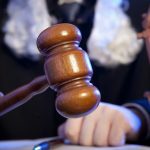 What will happen if I plead not guilty? If you choose to plead not guilty, you will be given a date for your trial. This date will be in the future in order to give you and the prosecution enough time to prepare. 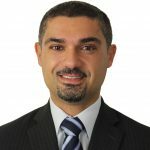 If you decide to plead not guilty, it is highly advisable that you seek representation from a criminal lawyer who will be able to advise you on the best defence for your case, and help you prepare all the necessary supporting documentation. Your lawyer will also argue your case in front of the judge and jury, so it’s vital to make sure he or she is an accredited specialist in criminal law, and has experience and a good track record with cases similar to yours.